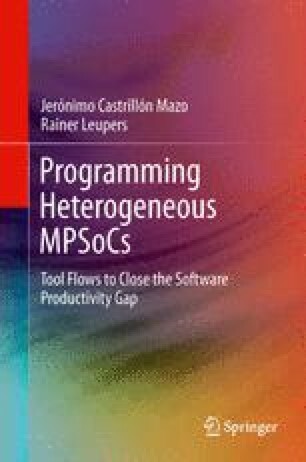 Chapter 1 alluded to the problem of sequential code in current embedded systems, showing that methodologies and tools are needed to help migrate legacy code to new parallel platforms. As discussed in Sect. 3.2, state-of-the-art solutions differ from each other in the problem setup, e.g., input language, programming restrictions, parallel output and target platform characteristics. This chapter describes a solution to the sequential problem with the setup presented in Sect. 2.4.